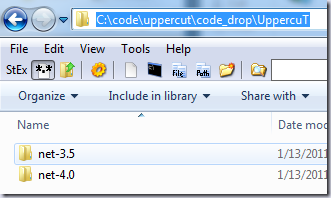 Recently UppercuT (UC) quietly released version 1 (in August). I’m pretty happy with where we are, although I think it’s a few months later than I originally planned. I’m glad I held it back, it gave me some more time to think about some things a little more and also the opportunity to receive a patch for running builds with UC on Linux. We also released v1.1 very recently (December). Perhaps the most significant changes to UC going v1 is that it now supports builds on Linux using Mono! This is thanks mostly to Svein Ackenhausen for the patches and working with me on getting it all working while not breaking the windows builds! This means you can use mono on Windows or Linux. Notice the shell files to execute with Linux that come as part of UC now. Perhaps one of the hardest things to do that requires an automated build is multi-targeting. At v1 this is early, and possibly prone to some issues, but available. We believe in making everything stupid simple, so it’s as simple as adding a comma to the microsoft.framework property. i.e. 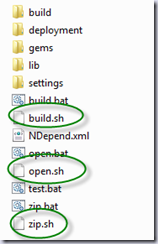 “net-3.5, net-4.0” to suddenly produce both framework builds. At this time you have to let UC override the build location (as it does by default) or this will not work. 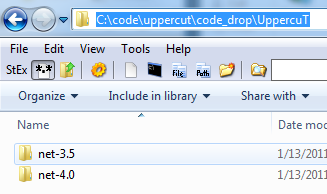 By now many of you have been using UppercuT for awhile and have watched how we have done versioning. Many of you who use git already know we put the revision hash in the informational/product version as the last octet. At v1, UppercuT has adopted the semantic versioning scheme. What does that mean? SemVer (Semantic Versioning) is really using versioning what it was meant for. You have three octets. Major.Minor.Patch as in 1.1.0. UC will use three different versioning concepts, one for the assembly version, one for the file version, and one for the product version. 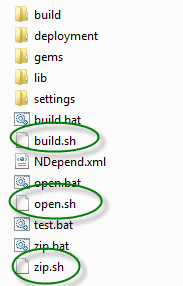 All versions - The first three octects of the version are owned by SemVer. Assembly Version - The assembly version would much closer follow SemVer. Last digit is always 0. File Version - The file version occupies the build number as the last digit. Product/Informational Version - The last octect of your product/informational version is the source control revision/hash. Gems support was added at v1. This will probably be deprecated as some point once there is an announced sunset for Nu v1. Application gems may keep it around since there is no alternative for that yet though (CoApp would be a possible replacement). 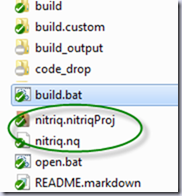 Nitriq is a code analysis tool like NDepend. It’s built by Mr. Jon von Gillern. It uses LINQ query language, so you can use a familiar idiom when analyzing your code base. It’s a pretty awesome tool that has a free version for those looking to do code analysis! 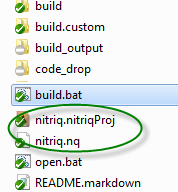 Then add the nitriq project files at the root of your source. Please refer to the Nitriq documentation on how these are created. One thing I started looking into was an easy way to obfuscate my code. I came across EazFuscator, which is both free and awesome. Plus the GUI for it is super simple to use. How do you make obfuscation even easier? Make it a convention and a configurable property in the UC config file! And the code gets obfuscated! Definitely get out and look at the new release. It contains lots of chocolaty (sp?) goodness. And remember, the upgrade path is almost as simple as drag and drop!